Researchers from Spain and Sweden have investigated how dependence exists between Smartphone addiction and gambling addiction. The result: apparently, the Smartphone addiction can represent an increased risk of a problematic gaming behavior. However, further studies have to follow for reliable statements. The Swedish University of Lund and the Spanish universality of Valencia have launched a research project on gambling and Smartphone addiction. The results were published online on Frontiers in Psychology. One has looked at the question, what links there is between the use of mobile phones and a problematic gaming behavior. It is a cross-sectional study of the Swedish General population. As part of the project, 1,515 participants were mostly surveyed online. It was concluded that a connection between Smartphone and gaming addiction was basically possible due to the data. However, for clearer statements, more detailed studies are needed. What was the course of the study? Researchers Andreas Fransson, Mariano Chóliz and Anders Håkansson conducted various surveys from February to April 2016. A total of 1,515 Swedish citizens were interviewed. In May 2018, they then published a cross-sectional study on the subject. NODS-CLiP: A short Test consisting of 3 questions about the game behavior. If a question is answered with “yes”, more detailed tests will be carried out. NORC Diagnostic Screen: more detailed questions about the value of gambling in the player’s life. It is also examined whether you have already tried to stop playing. Control Lying and Preoccupation: it is asked once again how you have tried to control the playing behavior. In addition, you should specify whether friends or family members have been deceived. It is also asked how often you think about playing in terms of leisure time planning. In two other questions, it was finally determined whether the subjects started a gambling addiction therapy. In addition to the online surveys according to the standards described, there were also independent samples, for which one made further Tests with individual persons, to examine the mean differences between the subjects. A total of 1,515 people participated in the project, with 38.3% of the participants being men. The study found that young people between the ages of 15 and 18 are more likely to have problems with cell phone addiction than adults. Among adults, in Sweden, women are more likely to be affected by Smartphone addiction than men. be determined. In contrast, it has been found that there is no connection to the number of daily SMS messages, to the use of the mobile phone in the night and in the bed, or the daily use of social media via mobile phone. However, these anomalies were only found when looking at specific age groups and the individual sexes. In the case of a total statistical evaluation, no relationship could be found between Smartphone and gaming addiction. The researchers themselves warn of caution and only wanted to initiate a discussion with the investigations. The study is not representative of Sweden and therefore further studies are proposed in order to obtain reliable data. As I have reported in the past, a new Gambling Act is scheduled to enter into force in Sweden from 2019. Online Casinos will finally be able to obtain a Swedish license from next year and offer gaming operations outside of a grey area. The protection of players and the Prevention of gambling addiction are a major issue in Sweden. It is not surprising that universities are already trying to obtain data on at-risk groups. The Smartphone addiction is also a Problem in Germany among younger people and occurs with them increasingly. A study by the Ludwig-Maximilians-University in Munich had already shown this in the past. More and more, researchers also want to know what the cell phone addiction causes in terms of health effects. The increased number of traffic accidents due to the view of the Smartphone is well known. In South Korea, scientists had found that the Smartphone Addiction can change neurochemical processes in the brain. It was found in 19 participants of a study. Anxiety and depression should have occurred in them more and more. Although this is only the beginning of research on gambling and mobile addiction in Sweden, it will certainly be expanded in the future. 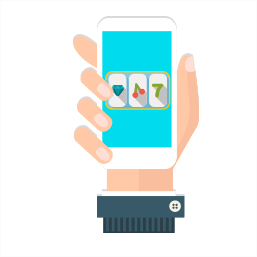 In the end, in 2017, the UK market had already found that significantly more Smartphone players are affected by gambling addiction. It was a study that led the search centers themselves. They had based themselves on the players who started therapy in the UK and were looking for help. Perhaps it would be profitable if the various institutions to investigate gambling addiction were to network more closely. The rather poor communication and publication situation is always a major Problem in the field of research. For this reason, it is already positive that you can easily view all the results of the Swedish study online.